The Vancouver Asian Heritage Month Society is looking for a new board member for the position of Secretary. Play a key role in shaping VAHMS as we continue to grow and evolve! As a member of the Board of Directors, your experience, professional expertise, and passion will allow our Society to reach the next level of operation. In exchange for volunteering with us you will be provided with an opportunity to meet new people, be introduced to the diversity of the Pan Asian community, develop leadership and communication skills, expand your professional network and have a positive impact in your community. 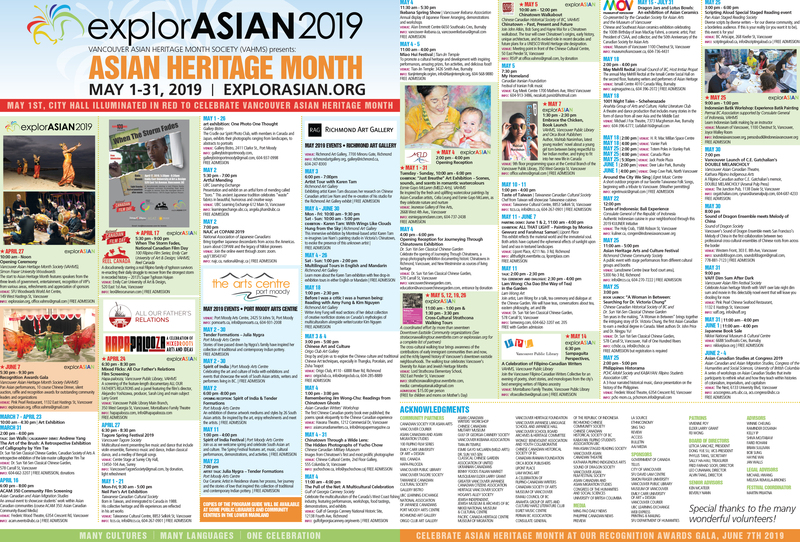 In the application letter please include your motivations for becoming a member of the Board of Directors of the Vancouver Asian Heritage Month Society. Successful candidates will be invited to stand for nomination by the membership in early January 2019.